We are always in need of monetary donations. 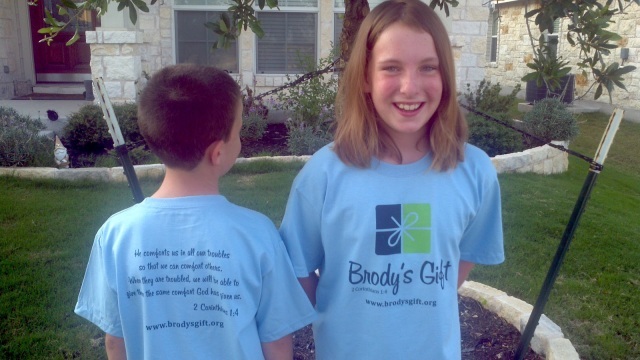 Brody's Gift is a 501(c)(3) Non-Profit organization. 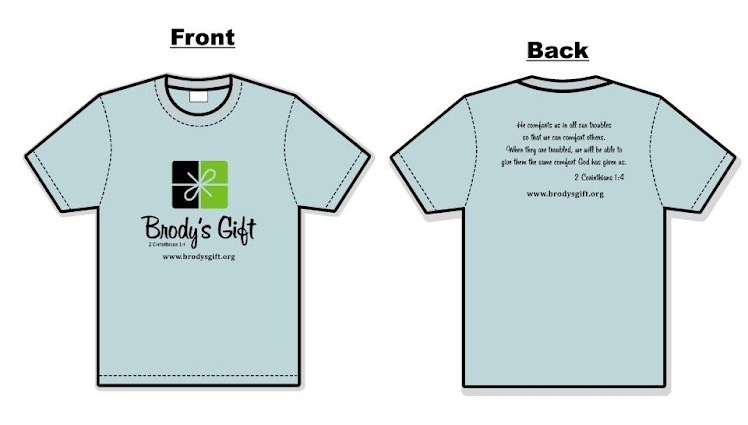 We are also selling Brody's Gift t-shirts. If you would like one please send us an email to Brodysgift@gmail.com to let us know what size you would like. We have youth S-L and adult M-XXL. They are $25 each and shipping is free within the US. Payment can either be made through or by check.